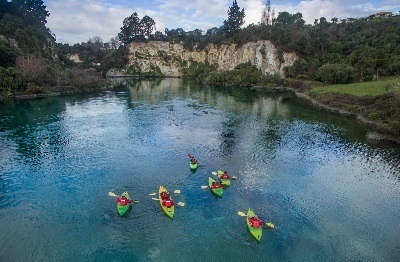 One of Taupo’s best kept secrets… the sheer beauty and tranquility found on the crystal clear waters of the Waikato River will take your breath away. 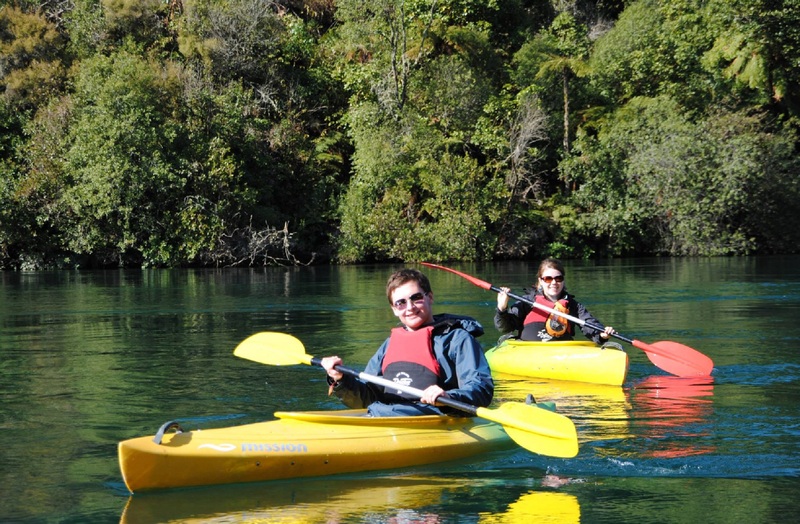 Begin your kayaking journey at the source of NZ’s largest river and drift past various islands, nature reserves, swimming spots, the drop zone of Taupo Bungy before soaking in Natural Hot Pools en route. Complimentary refreshments and photos are included. This is an extremely scenic, guided tour that is perfect for beginners, families, couples and friends. The tour is approx. 1.15 hrs on the water (2hrs return trip including transport) depending on group size and river flow. 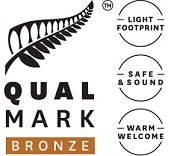 We start & finish at the store (54 Spa Rd, Taupo), then transport you to and from the river. You can leave your valuables in a secure locked area. This tour is suitable for children 4yrs+ (each child must be accompanied by an adult). Choose from a selection of double or single kayaks. Please arrive 15 minutes before your tour is scheduled to depart. Tours run throughout the year in fair weather conditions. 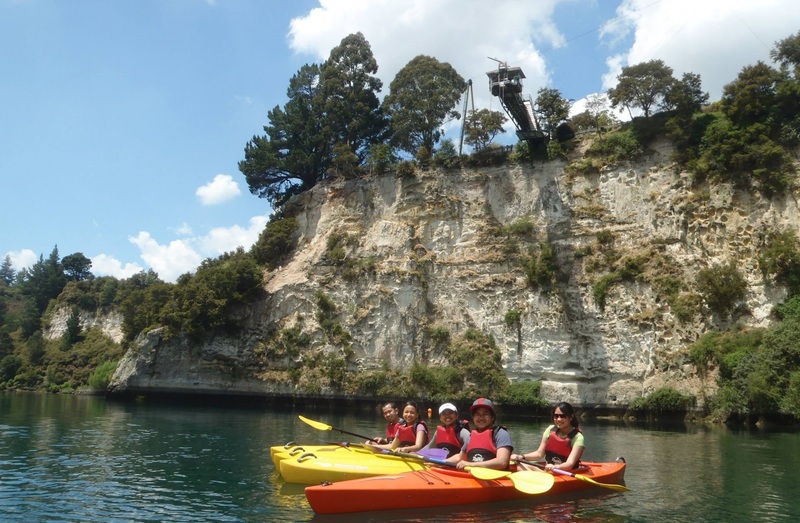 Fully guided by qualified, friendly and knowledgable kayak instructors. 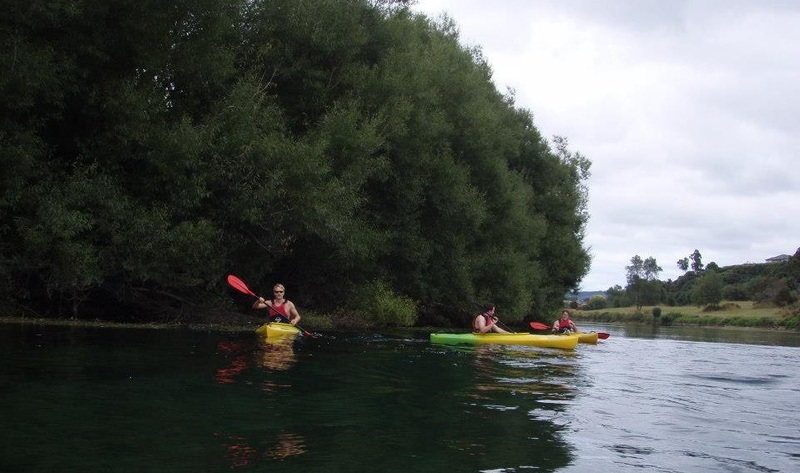 Rob took us on a journey along the mighty Waikato river, stopping below the stunning Taupo Bungy jump site and making time for us to soak in the famous spa park thermal hot springs, it was the most relaxing kayaking trip we’ve ever experienced. Had an amazing morning. I found it was a very easy ride even though we were both reasonably inexperienced kayakers. The surroundings were breathtaking and tranquil. We had 2 tour guides and both were extremely down to earth, funny and knowledgeable. Overall an amazing experience. Can’t wait to go kayaking again. Thanks guys!